You are here: Home / The System Administration Course on Udemy is now $12 (from $45)! The System Administration Course on Udemy is now $12 (from $45)! It’s been several months since I released my project-based system administration course on Udemy (https://www.udemy.com/hands-on-linux-self-hosted-wordpress-for-linux-beginners/?couponCode=SYSADMINW12). To celebrate a big move back to the U.S. (and a new job), I just lowered the price from $45 to $25. 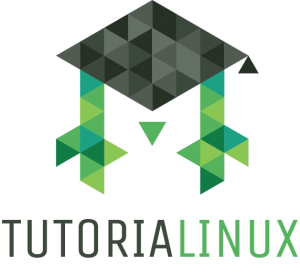 As always, the tutorialinux sysadmin horde gets a better deal: $12 for all 8 hours of the video course. For those that don’t know about the course, it’s titled “Hands-on Linux: Self-Hosted WordPress for Linux Beginners” and will teach you the basics of Linux system administration using a real-life project. You’ll set up a WordPress website, and the infrastructure to run further websites (as many as you want). More info can be found in my original post about the course. I also show you the sysadmin skills that you generally don’t see in tutorials or YouTube videos: automation, security hardening, backups and restores, next steps and add-on project ideas. There’s a 30-day money back guarantee on Udemy, so there’s no risk if you find that the course isn’t for you. https://tutorialinux.com/wp-content/uploads/2017/01/TutoriaLinux-Penguin-2-Color-300x272.png 0 0 Dave Cohen https://tutorialinux.com/wp-content/uploads/2017/01/TutoriaLinux-Penguin-2-Color-300x272.png Dave Cohen2016-08-07 13:08:062017-04-30 14:45:05The System Administration Course on Udemy is now $12 (from $45)! I have Linux (openSUSE Leap 42.1) running in an Oracle VirtualBox on my Windows 10 laptop. My internet connection is via satellite and I am limited to 10G/month. I live in a rural area without many choices for internet access. Does my setup meet the requirements of your course? You won’t be able to run a hosting company from your house, but you can definitely follow along with the Udemy course! You’ll be using two operating systems for this course, a ‘local’ one (private sysadmin machine) and a ‘remote’ one (hosting server where we configure our hosting platform). 1. For the local one, you can use whichever Linux or Unix distribution you like (even Mac OS is an option, or Windows with PuTTY). This machine is really only used for connecting to your remote server over SSH, so your Suse machine would be perfect for that. 2. During the course, you’ll set up a cloud server to host your websites (that one *does* have to be Ubuntu, unless you’re willing to figure out the corresponding package names in Red Hat, along with porting configuration file locations and some command names). Again, you could also use your local VirtualBox VM, but then you won’t be able to have a public website that’s visible from outside your network. Whichever way you choose is fine. How many PC’s will I need? It appears I will need at least two to do the course. A local one with any Linux and a remote one with Ubuntu. To follow along for learning, you just need a single computer at home. If you want to have a website that’s publicly available over the web, you’ll need a $5 virtual server somewhere that gives you a public IP address (Vultr, DigitalOcean, etc.). Does this mean I will need two PC’s?